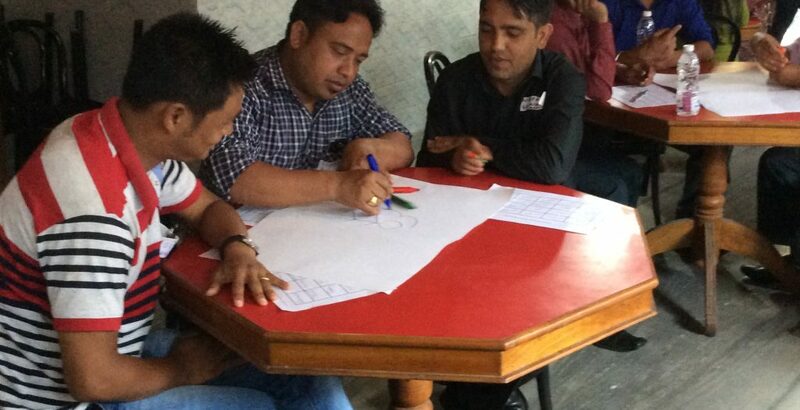 Ever since Mondo started supporting schools in the Darjeeling District of North East India we have been training teachers in ways to improve their interaction with the children and make their teaching more effective. In the last few weeks we have taken a further initiative to help the schools on the road to continuous self improvement. Ruth Worswick, a trustee of Mondo Foundation and herself a headteacher of a primary school in Hampshire, UK, has been conducting workshops for heads and senior teachers in the Mondo Indian schools to introduce the approach of self assessment and planning for improvement. The head teachers then went back to their schools to do their homework to consider what evidence they have and what they would need to assess how well their school is doing in such areas. 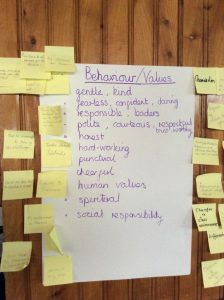 This was then explored collectively in a second workshop so that the schools could then take this as a starting point for defining steps for improvement. The enthusiasm for the approach on the part of the head teachers was clear and they will be helped to make best use of the method through regular follow up visits to their schools by Mondo’s on the ground consultant, Santa Rai.